Is it a motor circuit? There is no explanation anywhere ... 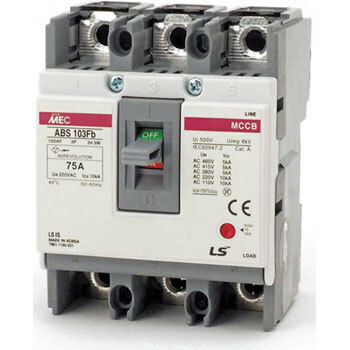 If you look at the breaker, it is with MCCB, so is that so? I judge with myself. The thing is right. When you search for the model number, did you use Omron in the old days? The frame may be standardized, but the height seems to be compared to the others. This review is about item#9157793. Although I am allowed to purchase it several times, anything can be used without any problem. It is a cheap and satisfying product. This review is about item#09157811. Since I have not used it yet, I do not know the result but it seems to come off when the set bolt is a wooden board. This review is about item#9157951. It is cheap and good, but there is no terminal cover, shock! If there is nothing, I wanted you to write a word. I knew, I bought it together. This review is about item#9157811. I am very satisfied, but what kind of work do you use in questions about the format of questions? This review is about item#09157732. Goods do not have any problem. Japanese is a strange thing in the manual, so you can recognize that it is a brand-new item. Even if the quality is good, it is a waste if you have doubts in the instructions, so I think that if you fix it there is a sales improvement. This review is about item#09157766. This review is about item#09157951. Anyway, the price was cheap so I bought it. I will be worried about making in Korea, but I will install it without taking it for a moment and keep using it while checking it. This review is about item#09157793. I used it to repair the distribution board. The old switch board became very old, and construction was done at the request of the owner. I thought that the price was cheap, the design was good and it was easy to use. I was able to use it without difficulty to downsize the distribution board with just the size feeling good. I would also like to use it again if necessary after this. It can be said that it is a satisfactory product. The feeling of use is fine. Since I was using domestic production so far Why can not you understand why the cover is a separate sale and wood screws are not even included? It was a feeling. I thought that it was a bit inconvenient unless you used small things when using wood screws. The price is also cheap, and there is also an option of the terminal cover and it is safe. It is also convenient to install with DIN rail. I expect 25 A of 2P and 3P, so I expect it to be a variation. Terminal covers are not sold (like it). It is better to purchase Panasonic made with terminal cover or Mitsubishi, which is sold separately, even if it is high. This review is about item#09157933.